Have you ever thought about turning your hobby into a business? Kellie, an artist originally from England who recently moved to Northern Ireland, is currently availing of the free business start-up support offered through our Jobmatch programme. Kellie wants to share her love of art with others and provide art therapy lessons (a form of psychotherapy that uses art media as a mode of expression and communication) to people in day centres, nursing homes and community centres throughout the Mid Ulster area. Our Self Employment Coach Alison is working with Kellie to develop a marketing strategy for her business which includes reviewing the potential target groups for her business as well as the marketing techniques she will use. Have a look at Kellie’s work on https://en-gb.facebook.com/kellierobinsonart/ or follow her on Twitter kellie robinson art (@kellierobinson1) | Twitter. Jacob always had a keen interest in photography and when he recently found himself unemployed decided to investigate the potential of starting up in business doing something that he loved as a hobby. He accessed free business start-up support through our Jobmatch programme and worked on a one to one basis with our Self Employment Coach Alison to develop a business plan for his new photography business. Alison helped Jacob to look practically at his business idea – they reviewed the existing competition in the Mid Ulster area, identified who Jacobs target market would be, how he would market his new business and the financial implications of setting up his photography business. Alison also offered Jacob support with the legal requirements of setting up a new business for example registering with the HMRC. We would like to wish Jacob and Kellie every success with their new business ventures. 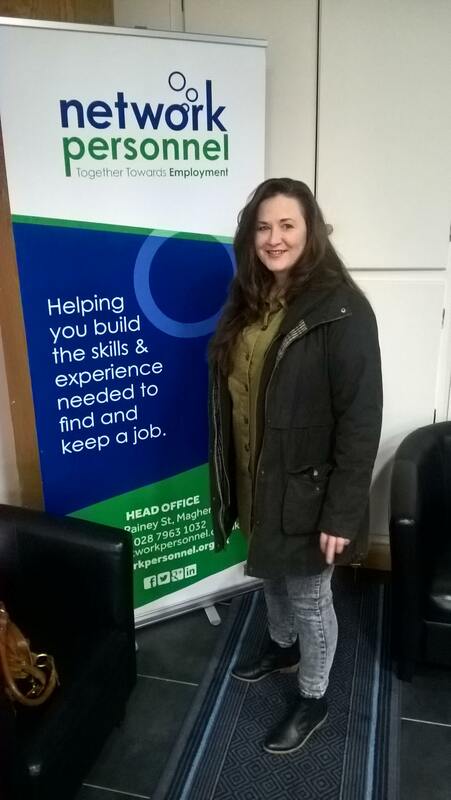 If you are unemployed or working less than 16 hours per week and would like to speak to one of our self employment coaches about a business idea give Alison a call on 028 7963 1032 or email Alison.hughes@networkpersonnel.org.uk.